The kingdom of heaven is like unto leaven, which a woman took, and hid in three measures of meal, till the whole was leavened” (Matthew 13:33). 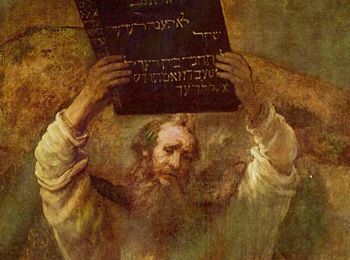 We may say with certainty, from the context of this verse, that what the apostle has in view as leaven is the Galatians’ "readiness to receive another gospel," which was promising comfort and a sense of acceptance, more or less, in the practice of at least some of the outward ordinances of Judaism. This leaven had already begun to work, embodying itself in the observance of the days and feasts of the Jewish calendar—“Ye observe days, and months, and times, and years” (Galatians 4:10). Now, a movement which manifests itself in some form of external expression of religion, once it begins to show itself in a Christian community, has a great tendency to spread. Because always, in every Church, there are unstable folks, who are Christians in name only, having made a false profession, who are only toying with spiritual things, and are ready to adopt almost any novelty of religious behavior. The particular form in which the external religionism of seekers after another gospel clothes itself varies according to fluctuating tastes or circumstances. Among the Galatian Christians such persons were now beginning to feel attracted by that kind of outward piety exhibited by devout or professedly devout Jews. The true antidote for this "leaven" is the same in every age; namely, that which the apostle in this Epistle strives to administer - the gospel of the righteousness and Spirit of Christ crucified.